Ford Territory is a new model for China, with a plug-in hybrid version coming. Ford hasn't rushed to introduce new plug-in models, but finally there will be a new choice - although it's only in China, where the company needs to improve its position. Here we have the first two images of the Ford Territory, a new car developed with Jiangling Motors Corporation (JMC). The Territory is a entry-level, midsize SUV that is promised to be affordable. Ford Focus-Based Mach 1 Electric SUV Report Not Accurate? There are no details about the specs, but as the Chinese plug-in market is competitive, you can bet it will be equipped with a decent battery. SHANGHAI, Aug. 8, 2018 – Ford today shared the first images of the new Territory, a mid-size SUV with the affordable price-tag, rich technology and looks to carve inroads into China’s richest vein of future growth – new buyers in emerging cities. Ford developed the Territory together with its joint venture partner, Jiangling Motors Corporation (JMC), a collaboration that melded JMC’s deep insights into new Chinese customers’ tastes with Ford’s global expertise in vehicle design, engineering, testing and manufacturing. JMC provided insights into Chinese customers’ lifestyles and product preferences, while the Ford team leveraged its global expertise to design, engineer, and test Territory at Ford’s testing centers in Nanjing, China and Melbourne, Australia. The all-new SUV will be manufactured at JMC’s Xiao Lan plant, which meets Ford’s meticulous global manufacturing standards. Territory customers can choose between a fuel-efficient gasoline engine option, 48V mild hybrid with Miller-Cycle technology, and a plug-in hybrid powertrain when it goes on sale in early 2019. 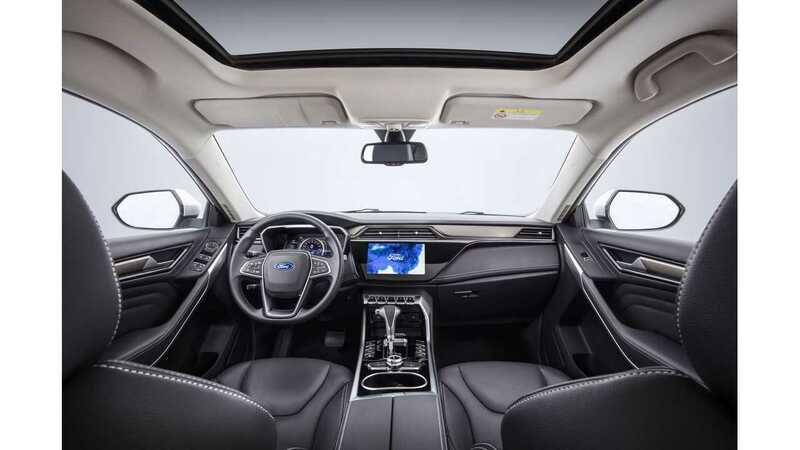 It also will offer Ford’s infotainment system with intuitive Mandarin voice-command function, Co-Pilot360TM suite of driver assistance technologies, incorporating features such as Adaptive Cruise Control and FordPass Connect with embedded modem. AIMING AT THE HEART OF CHINA’S AUTO GROWTH While China remains the world’s largest automotive market, the greatest growth in demand for automobiles will come not from traditional ‘Tier 1’ cities such as Beijing and Shanghai, which have implemented license plate restrictions to manage traffic congestion, but rather from smaller but fast-growing cities in the interior of the country. The number of registered passenger vehicles in Chinese cities with no license plate restrictions is expected to soar to about 23.7 million in 2020, up from 10.8 million in 2010, according to IHS Markit’s latest China Provincial Forecast1. In contrast, vehicle registrations in restricted cities is expected to fall to 1.6 million in 2019, from a peak of 2.2 million in 2010. For these buyers, the midsize SUVs such as Ford Territory is a highly popular choice. According to McKinsey’s China auto consumer survey 20172, the midsize SUV segment saw an annual growth rate of 38 percent in China between 2012 to 2016. Indigenous Chinese automakers in particular have capitalized on this trend. For the first time, Chinese customers will be able to purchase a very competitive Ford in the entry-level, mid-size SUV segment at an affordable price. “The new Ford Territory shows what can be achieved when two global companies collaborate closely, bringing their respective strengths to meet the needs of a broad spectrum of Chinese consumers,” said Qiu Tiangao, chairman of JMC. 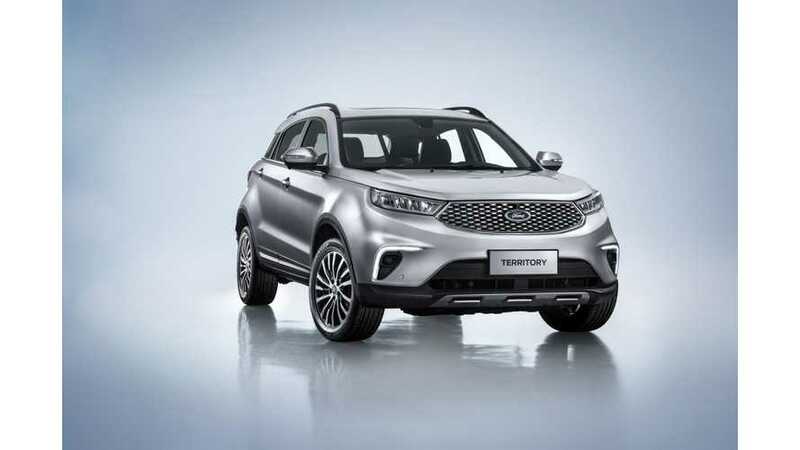 The Territory further expands the Ford SUV family lineup, which is composed of Ford EcoSport, Ford Kuga, Ford Edge, Ford Explorer and Ford Everest, to further meet the diversified needs of Chinese consumers. NEW DESIGN TAILORED TO CHINESE TASTES In the Territory, Ford’s design team delivers a fresh exterior appearance, instilling Ford design DNA that appeals to Chinese consumers. The front of the vehicle features the signature Ford mesh grille, flanked by LED lights. Outboard graphic features house the uniquely shaped LED daytime running lamp and turn indicators, emphasizing the vehicle’s solid stance. The rear of the vehicle is highlighted by strong horizontal lines, emphasizing the width and stance. A lower skid plate integrates outboard bright graphic elements and serves as a reminder of the Territory’s SUV capability. The accent finishes on the grille and contemporary Ford color palette offer contrast, depth and a richness to the vehicle. Ford’s engineering DNA is evident in a Ford-tuned suspension, which is set for exceptional ride comfort and refinement. The Territory has also been rigorously tested in its ride, handling and NVH (noise, vibration and harshness) levels at Ford’s testing centers in Nanjing, China and Melbourne, Australia, to ensure it meets Ford’s stringent engineering and quality standards. The new Ford Territory is part of Ford’s China 2025 plan to launch more than 50 new vehicles in the country by 2025.